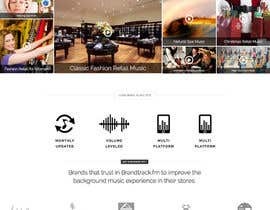 My site is a subscription music platform that offers custom music channels for background music in stores (Restaurants, Retails and Hotels are the target clients). 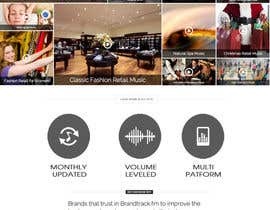 Instead of creating Music Genre Channels, we have developed a different concept of Music channels focused in types of brands and target... For example we have an "International Restaurant music Channel" or a "Fashion Retail for Teen Girls music channel"... and so on. This site is translatable to 3 different languages (using WPML plugin)... and the subscription process is handled with S2member plugin. 3) Clear Message: The user should understand what the page does in just a second after he arrives. 1) The Footer area: I really need to improve this area... its not pretty right now... I will need to add a language switcher there. As I might add many languages... the best would be a dropdown menu. 1) The introductory Text with a call to action button so the user register to try the site for free during 30 days. 2) The Portfolio Gallery of the home: Here i need many changes... for example... the template doesn´t come with the name of the portfolios by default... you need to mouse over to know what is the title of every portfolio and in my case this is not good... and also a play icon in the middle of every music channel thumbnail will help to let users understand that this is a music website. I have given just ideas... 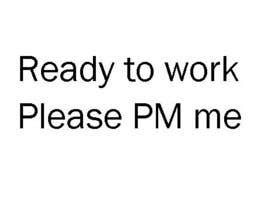 I am sure you can give me better ones! I have also changed the original template to achievet this... but if you find a better way to show it... perfect! I would like to have a "music app" oriented design here. Many users will come from an organic search from Google that have never visited my site and I would like to impress the user with the beauty of the site and also introduce what my site does in the first view of the page (without scrolling). 2) A space for a nice image (it can be in any place... its not mandatory to add it inmediately after the player... it can be outside the first screen). 5) A nice "Back to Channels Panel" button. Here is a link of the site right now: [login to view URL] ... but as I am a little bit stuck... I came to Freelancer so to hire someone that can give me best ideas on how to improve the site and launch good. My idea is to continue hiring for further improvements to the best designers. Please Dont send an image with only a messsage saying: "I WILL DO IT" or stuff like this. I will reject those kind of proposals and will consider them as spam. hello sir any feedback on #3 ? Thanks Jesse, i will be waiting for it!